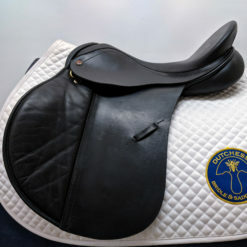 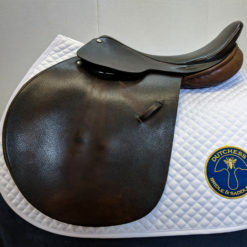 This is an older model Windsor Elite dressage saddle that has been beautifully maintained! 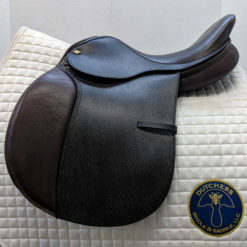 This saddle is in very good condition and features brand new billets, including point billet and middle billet. 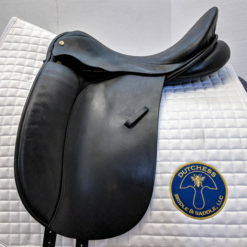 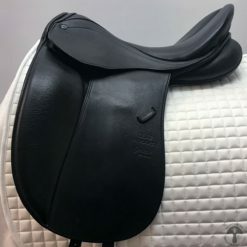 This saddle would be an excellent match for a rider looking for moderately supportive thigh blocks and a classically correct dressage seat. 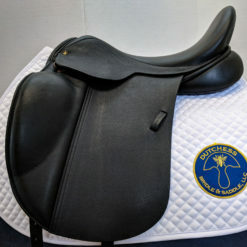 RIDER DESCRIPTION: The narrow twist and moderate width of seat make for a close ride in this deep-seated saddle. 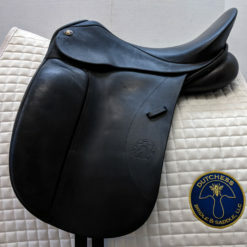 Moderately supportive thigh blocks and a relatively straight flap put the rider in a classically correct position.